Anyone who has had the opportunity to play a great guitar though a cranked up classic tube amp from the '40s, '50s, or '60s knows that the sound, feel, articulation, and control just can't be beat. Notes can tickle or DECAPITATE depending on your intent and your individual playing style. The great amps amplify your character, not just your volume. Dynamic sound like this is a product of the natural characteristics of tubes, speakers, and archaic circuits being pushed to their limits. The down side is that tone like this can only be experienced on stage in big clubs or in sound proofed studios, due to the massive volume produced. Not to mention the fact that most vintage amps are now collectible antiques that typically need expensive restoration and possibly upgrading to be made blast-worthy... nobody wants to blow up their piece of history! The dilemma of getting responsive guitar tone at less than earthquake volume levels has brought about the production of master volume controls, simulators, emulators, high gain preamps, digital tube models, and a tidal wave of distortion boxes. These all have their uses but they still aren't (and can't ever be!) the real thing. Regardless of how much 'EQ', excess gain, digital hoo-ha, or preamp trickery one employs, the fundamental tone of ANY amplifier is really determined by the dynamic response (or lack of) of the amp's power supply and output stage. Like your finger plucks the guitar string, your amp's power supply and output stage essentially 'plucks' the speaker. It is this primal interplay that dictates the basis from which your notes are sculpted. That is why old-style amps with their tube rectifiers, loose unregulated power supplies, 'inefficient' biasing schemes, and uncluttered preamp circuits sound so juicy and complex. They have a non-linear response that varies according to YOUR touch. The resulting natural 'whole amp' distortion is definitely where its at. The best amps become part of your instrument. My intention is to build amps that have the touch response and sound quality of the great old school amps, with an aggressively clear character that stays true to the sound of the guitar and player, but without the excess volume. All Emery Sound amplifiers are completely hand built using quality materials, from the eye-popping hardwood and acrylic cabinets to the entirely point to point wired on terminal strips (no circuit board!) aluminum chassis. The all tube circuits are as simple as functionally possible, with an emphasis on purity of tone rather than cheap marketing features. The minimal number of tone robbing switches and controls maximizes the connection between brain and speaker. Our instruments give you back your fingers as the primary shapers of your sound! My interest in music electronics has evolved from the days when I wanted to see how many speakers I could hook up to my clock radio... through engineering school... 20 years of professional vintage and modern amplifier service & design, gig playing, and recording... to the design of equipment that I needed as a player but that didn't yet exist. 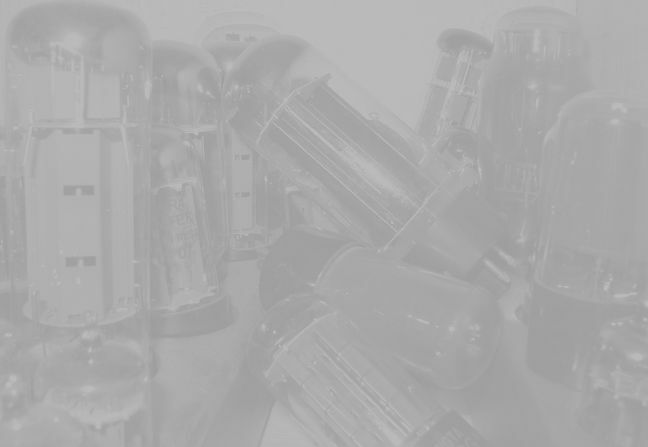 A large number of high quality, massive 50-100 watt tube amps are made today but there is a great void of pro quality lo-powered amps that are not toys. Using and servicing hundreds of vintage guitar amps has revealed to me that the amps that are the most musically responsive and FUN to play, consistantly display certain common electronic traits. I've distilled these qualities into new, original design modern amps that could have been built in 1945, technologically speaking. Mix in the desire to take the guitar amplifier beyond the usual black box aesthetics and the result is a truly unique eye and ear pleasing compact instrument that is NOT just another vintage clone. Like you and me, these amps revel in the joy of a great guitar.